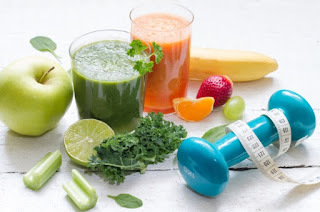 I used to be a shy skinny kid then, I found bodybuilding ,now I am a confident fitness trainer. 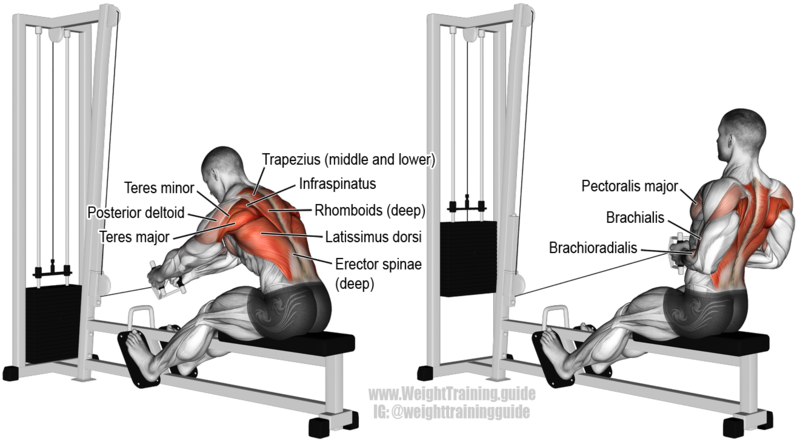 this particular workout will take you about one hour if you rest between 45 seconds and 2 minutes all right let's get started with this back workout. 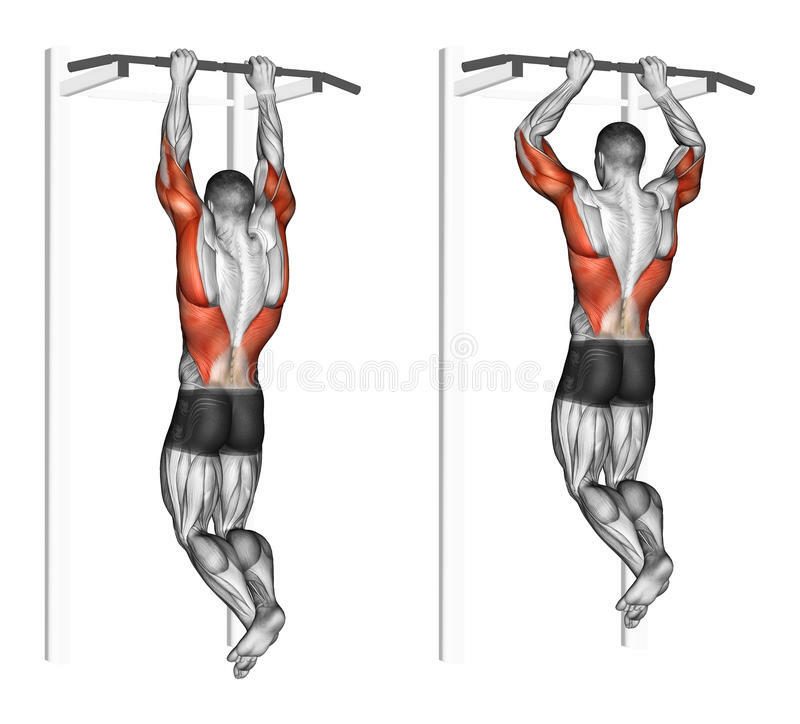 because I feel like you won't be able to do pull-ups at the end of your workout because by that time you won't have the strength or the endurance to be able to perform the exercise correctly, when I do pull-ups I try to go lighter than shoulder-width and when I do the pull-up I like to hold each rep for about a second squeezing my lower. let's exercise 2 we're going to be doing lat pull-downs for this exercise we're doing one warm-up set and five working sets for the working set we're going to be targeting 12 to 15 reps. 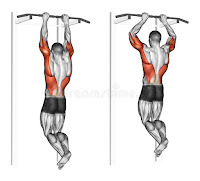 I do this exercise very similar to my pull-ups a lot of times. I'll do this just to help burn it out from the pull-ups when I no longer can do pull-ups anymore I like to do a wide grip and I like to squeeze my lower laps just like my pull-ups what I see a lot of people do is they put too much weight on their and they start rocking back what I like to do is make sure that you're doing the proper weight so that your body's upright and you're just pulling straight down. 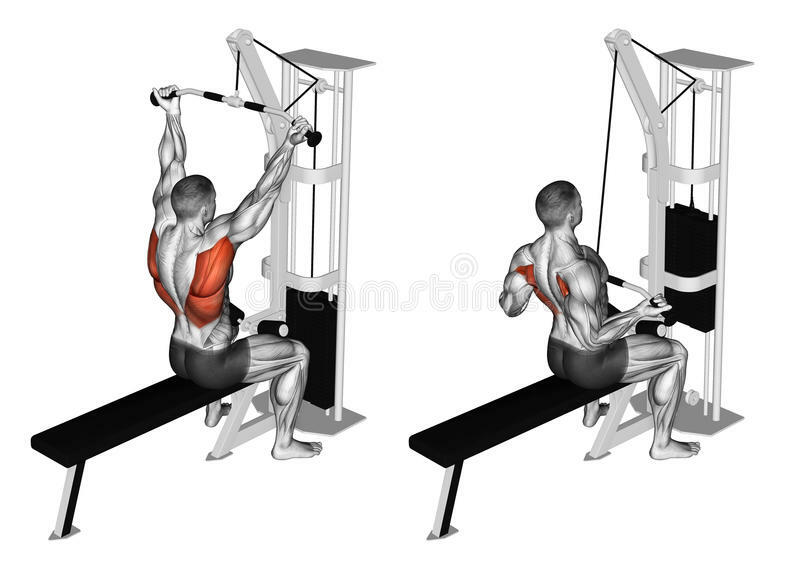 when you perform this exercise you want to make sure your elbows are going straight back and you want to make sure your body is upright just like all my other exercises. 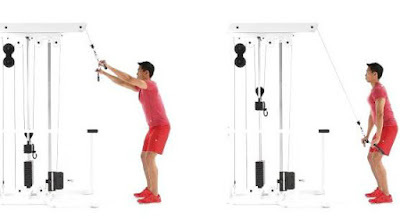 our fourth exercise is going to be cable pullover we're going to be doing one warm-up set followed by five working for the working set we're shooting for 12 to 15 reps for this exercise. 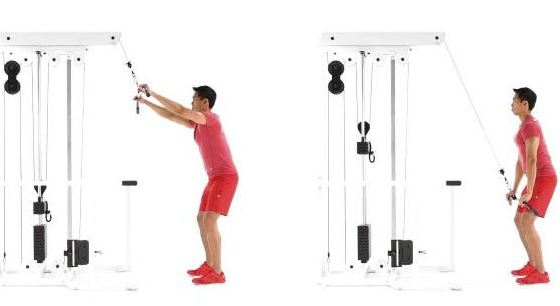 I'm using a rope just to give this exercise a slight variation the performance movement you want to make sure that you're not bending your elbow you want to make sure that the pivot point is going to be right at your shoulder and you're pulling straight down to your body a lot of times it's really hard to focus on your lats but by doing this and doing the high reps I'm able to focus a lot more and squeeze my lats together. 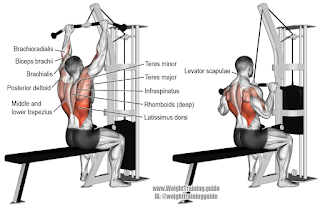 so for the reverse pulldown we're doing an underhand grip with a narrow hand placement we're going to be doing one warm-up set followed by four working sets for the working sets we're trying to get eight to twelve reps to failure so for these pull downs. I do them just like I do my pull-ups I'm stretching out my lats and at the bottom of each set I'm flexing my lats as far as I can just like the lat pull-downs I want to make sure my chest is out and just make sure I'm not rocking back using my body weight when I'm trying to pull down the way users workout once a week for your upper-back work out.